Industrial wash-tubs, individual handwashers and handwashers with cabinet, bins and hoppers, sanitary fixtures and bath accessories, containers, knife sterilizers, and slop sinks. 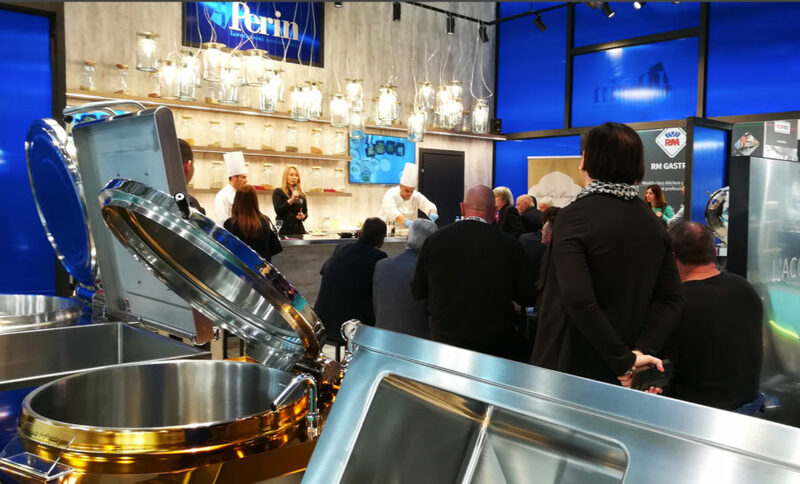 Creativity, Research and Culture are the three key words that marked the début of F.lli Perin at HostMilano 2017 in the new configuration, entirely dedicated to Research&Development. The story relates to the five days which were a true "sell out", enjoying critical and public success with the affirmation of a new international vision. Established experience in stainless steel machining ensures immediate responses to each customer’s specific needs. Continuous research and experimentation of new and advanced machining techniques. Rigid control standards and guarantee of absolute product quality. Maximum organisation and flexibility to comply with the required time frames and quality.